Tossing a buck in the tip jar every time you grab a coffee and always leaving at least 20% on your dinner bill may be standard practice for you (and it probably should be), but there are plenty of jerks who stiff people in the service industry just because they can. Ask anyone who relies on tips to make a living and they'll regale you with the horror stories. And while it's true that people in America tend to tip more than just about anywhere else in the world, the reality is that certain parts of the country are a bit more generous when it comes to parting with their money to reward good service. But where are the cheapskates hiding out? And where can servers and bartenders rake in the most cash? It's all a bit clearer now thanks to a new map that reveals the best and worst states to be a tipped worker. 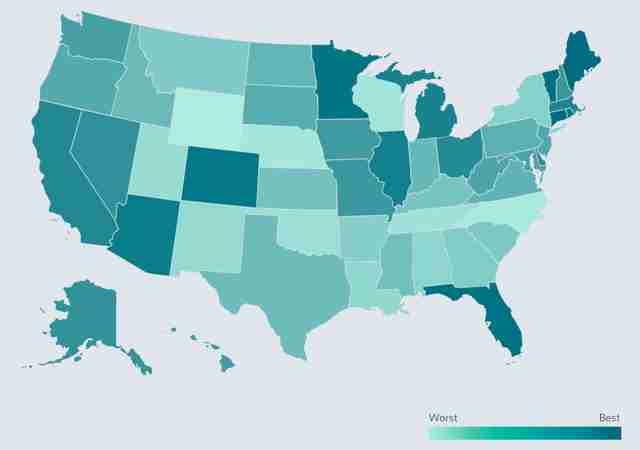 The new map was made by the folks at time-tracking service TSheets, who consulted quite a bit of data to rank all 50 states from best to worst. Specifically, they surveyed 208 anonymous people from every state about their tipping habits, then weighed those findings against each state's minimum wage for tipped employees. Topping the list as the best state for those working for tips is Connecticut, where the minimum wage is $10.10/hour and the average tip rate is 18.58%. That's compared to the worst state, Wyoming, where the minimum wage is a paltry $2.13/hour and the average tip rate is $15.91%. Here's how the top 10 best and worst states broke down based on average tip rate and minimum wage. 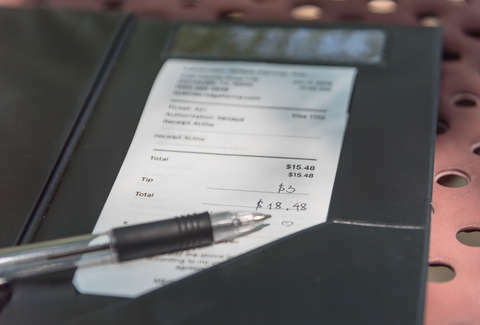 While the ranking is the result of weighing two different factors, it's also worth excluding the minimum wage to call out the state with most generous tippers in the country, a distinction that goes to the people of Maine. Also, generally speaking, Americans at large are a pretty generous bunch considering TSheets' research determined the national average for tips to be 17.12%, smack dab in between the general rule of 15-20%. Can someone please let millennials know?